Inspiring creativity in the hearts and minds of our youth through the learning and experiencing of live dramatic art. 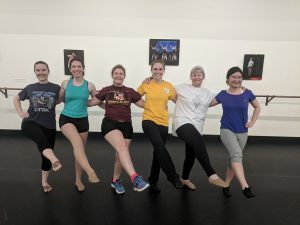 The Dance Program emphasizes strength and technique. The discipline, artistry and technique acquired through the study of dance enhances confidence, focus and poise. 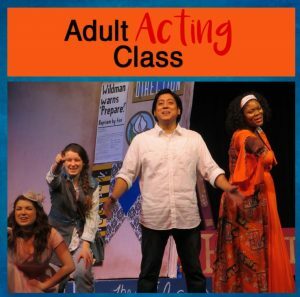 Adult Acting Workshop in The Quiet Way will help any actor rediscover the fundamentals of our craft while remembering why we love to do plays. This remarkable method joins improvisation and stage direction to free the actor’s natural creativity and desire to use body and voice to tell a story live and in person. By breaking down the elements of “script” and laying them bare to exploration and improvisation, The Quiet Way will remind you of exactly why you fell in love with acting in the first place—or help you fall in love with it for the very first time! Acting on a regular, working basis is much more of a technical craft than some like to admit. The seed of becoming a repertory actor relies as much on technique as it does talent and timing. This workshop will teach a process for producing a real character on the basis of technique without sacrificing believability. Learn to incorporate vocal interpretation, emotional memory, expression, and physical dexterity as you compose a character. 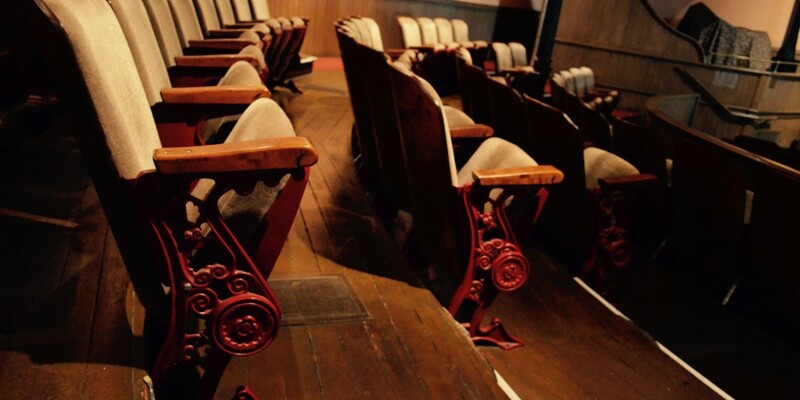 This workshop presents a method actually taught in repertory companies in England. Not only shall you learn the method but you will actually create a character during the course. This three session workshop will be taught by Rodger McDonald, An Elly Lifetime Achievement Award Winner and L.A. Dramalogue Best Actor recipient. Numbers for the workshop are limited…. but acting possibilities are not! This tap workshop is geared towards the beginning to intermediate tapper. 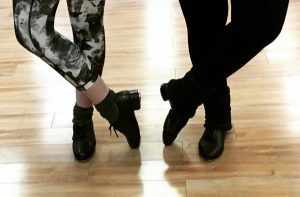 Starting with tap basics and going into time steps and more! Each class will start off with a warm up to get your feet moving, then across the floor basics, and end by putting it together within a combination. If you have always wanted to tap or if you need to brush up and get better and faster with your basics, this workshop is for you! This Intermediate/Advance Tap Workshop will work on marrying speed, clarity and precision while introducing new rhythms and combinations. Learn how to take your basics to the next level and even add some tricks and turns! Do you need to stay in shape but can’t find the motivation? Have fitness goals you’d like to achieve but are bored easily? Well, never fear because we can solve ALL of those challenges with our Broadway Cardio class! Have fun boosting your cardio while singing along to showtunes and sweating with friends, old and new! Join Andrea St. Clair for this fun-filled energetic class that will prove to be so much fun that it will make you forget that you are even working out! 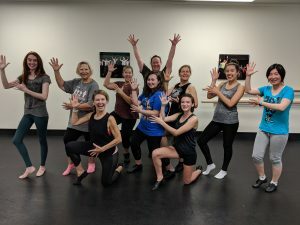 This class will provide you the skills needed to have confidence at your next audition when the director calls out, “put on your dance shoes!” Teaching retention of choreography, committing to big choices and personalities, and having fun learning different styles of musical theatre dance is what this class is all about! So whether you are interested in improving skills or staying in shape, this class is for you!